Everas is happy to highlight our client Tim Burke who lives with Everas in one of our group home programs. 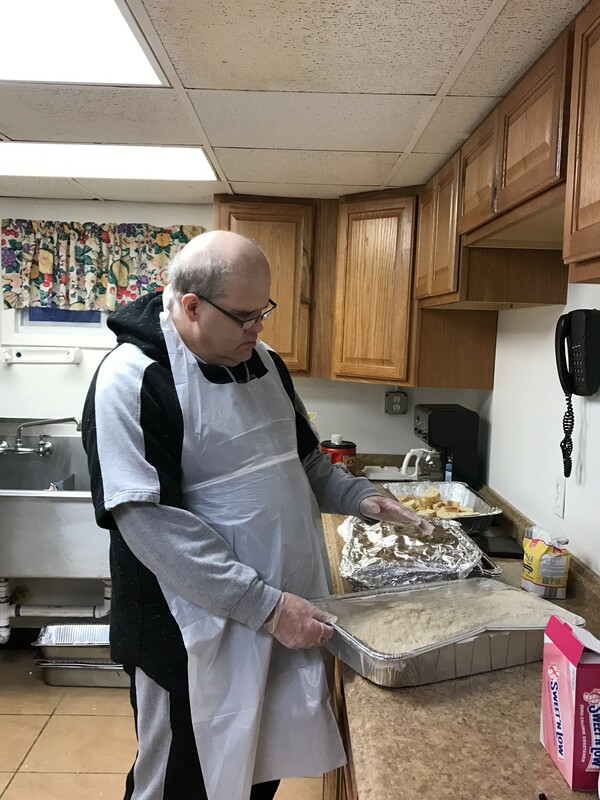 Tim is a community volunteer at St. James AME in Hightstown, New Jersey, where every Wednesday he assists in the soup kitchen. Virginia Muse oversees the culinary program at the church and says Tim is a w onderful volunteer. 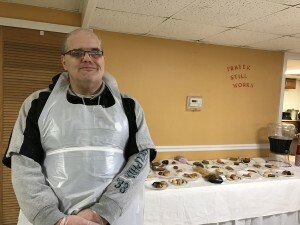 Virginia is happy that Tim enjoys the experience and that he feels good about himself knowing he is helping others. The volunteer opportunity is source of pride and provides Tim with a sense of accomplishment and purpose. Tim says, “I like volunteering because I am no different than anyone else”. Tim has been part of the Church program for three months. Each week, anyone in the community is welcome to come for a hot meal, coffee and dessert. There are no questions asked and no one is turned away. It is a collaborative effort as the food is prepared and donated by a local group, Muslims Against Hunger. Tim assists in plating the food, serving the individuals, and keeping the space clean before and after the meal. 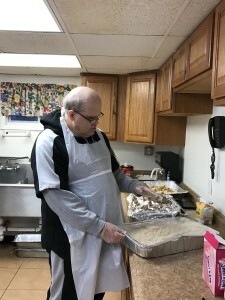 He is part of the team of volunteers helping to serve sometimes as many as 140 community members who benefit from a free hot meal and socialization. Everyone on the team appreciates Tim’s participation and say he is a hard worker who spreads good will to the diners as he helps ensure the evening runs smoothly. Tim says, “I like to serve people and help others in need”, which includes thinking of his housemates. Tim never leaves without preparing to go plates for each of them. On behalf of everyone at Everas Community Services, Inc., keep up the wonderful work, Tim! A special thanks to the Reverend, Ms. Muse, and the congregation at St. James AME for this enriching partnership. 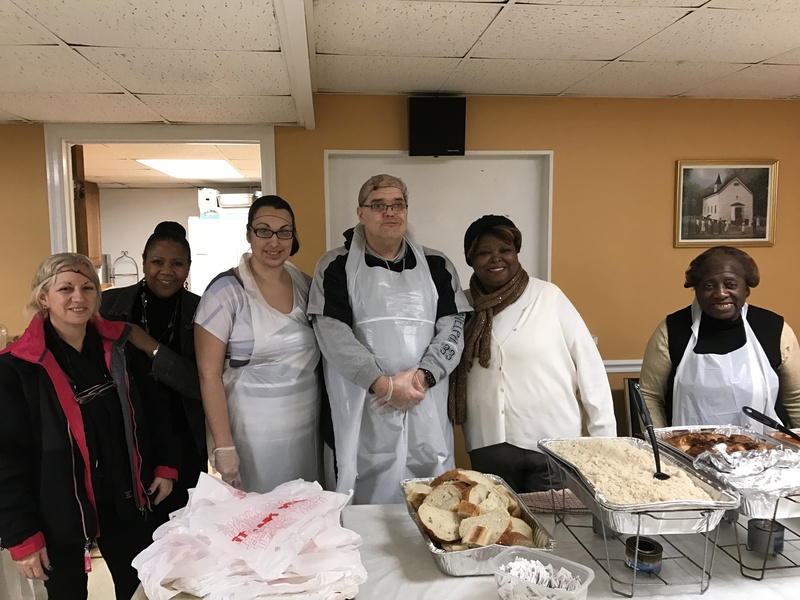 Our mission is to provide innovative services that support independence and community inclusion for people across a broad spectrum of ability and specialized needs.